Our Apps Check out our Android and iOS apps! Download our free AfroMoji Android app. 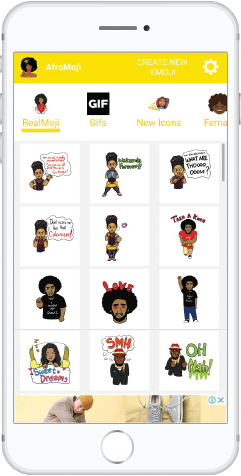 This is the first AfroMoji app and is a standalone app with all our unique AfroMoji stickers. Download it now! The AfroMoji iOS version is now live and ready to be downloaded. Get black emojis for iOS now!